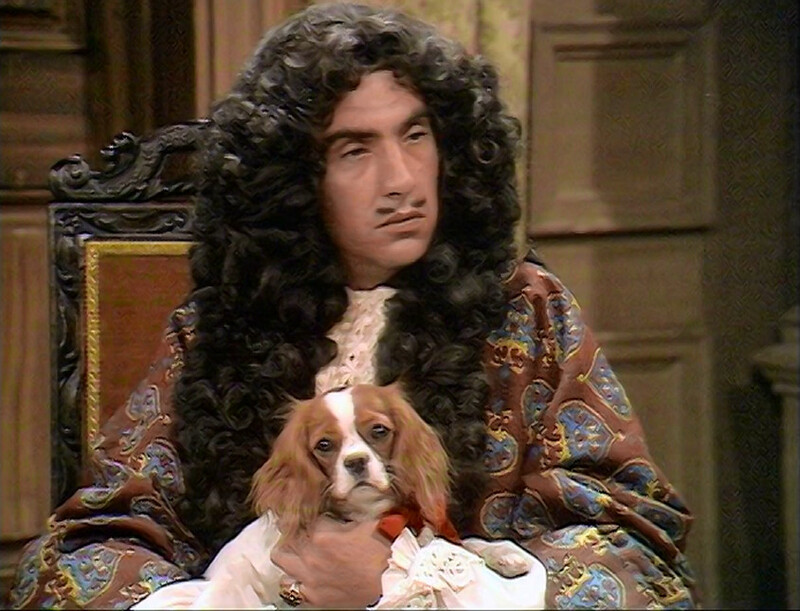 One of the most colorful figures in English history has to be Charles II, and we get to meet him and many other historical figures of the 17th century in the new DVD release of the series The First Churchills. Based on Sir Winston Churchill's account of his ancestors, the First Duke and Duchess of Marlborough, John Neville (as John Churchill) and Susan Hampshire (Sarah Jennings Churchill) make this exciting historical period come alive. The 12 part series (filmed in 1969) begins with the voice of the Duchess of Marlborough narrating some of the events which led up to her meeting and marriage with the Duke. John (also known as Jack) Churchill achieved great things on the battlefield and was made a colonel in France and a lieutenant colonel in England. Because of his military glories, he is often at the court of King Charles II. In fact, unbeknownst to the king, they even share a mistress, Barbara Villiers. At the same time, the young Sarah Jennings comes to court as a lady in waiting to the second Duchess of York, and spends a lot of time entertaining the Duchess's two daughters, Mary and Anne. Sarah's relationship with the children will play a major part in the rest of her life. John and Sarah meet and fall in love, but there are obstacles in the way of their union. John's father is deeply in debt and therefore wants Jack to marry Catherine Sedley, who would bring a large fortune into the marriage. Sarah also has wealthy suitors, but she objects to marrying someone who came by money through family connections, rather than by hard work. Eventually, all problems are overcome and the two are married. Because John is still in the army, his frequent absences from home mean that Sarah is often alone at court and grows closer and closer to Princess Anne. Although the relationship of the Churchills is a major part of this series, the life at court and the political and historical events surrounding the couple are also highlighted. King Charles II is a staunch Protestant and determined to defend the faith in England. His brother, James, however, is a Catholic. There is still much dislike and mistrust between the two faiths. An added complication is that Charles and his wife have no children, but everyone accepts that the dashing young Duke of Monmouth is Charles's illegitimate son. Charles, however, also believes fiercely in the law of succession. He refuses to divorce his wife in order to marry again with the hope of having children with another wife. He also refuses to name anyone as his successor, preferring for the natural order of succession to be allowed to occur. This makes many people uneasy, because they fear that if the king's brother were to be crowned king, that he would attempt to bring back Catholicism as the state religion. Upon Charles's death, James does become king, and his relationship with certain members of the church does begin to make people uneasy. Soon enough his daughter Mary and her husband, the Dutch King William of Orange, arrive in England and take the crown as James flees to Ireland. They become co-rulers. Mary, however, is uneasy with the relationship her sister Anne has with Sarah Churchill, and demands that Sarah be dismissed. Anne refuses, and this creates a permanent rift between the sisters. Mary is also childless, and so upon her death, Anne becomes queen. There is still plenty of upheaval as rumors swirl that there are many powerful men who want to bring James back on the throne. Suspicion is levied at all powerful people, and not even the Churchills can escape the accusations. Also, new confidants of the queen begin to drive a wedge between her and her old friend Sarah. 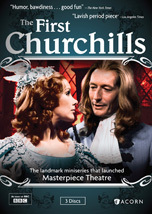 This set also includes an interview with the actress Susan Hampshire, filmed 30 years after The First Churchills. It was very interesting to learn that Judy Dench was originally cast as Sarah, but had to drop out and Susan Hampshire was a last-minute replacement. She felt that some of her co-stars were a bit disappointed in her, as well as the fact that the complete script was not ready before they began filming. 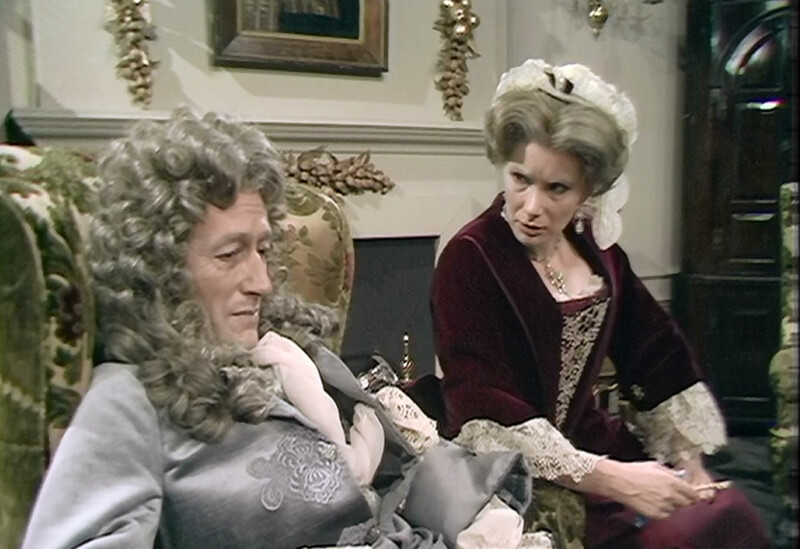 Still, Susan Hampshire won an Emmy for her work in the series, so even Dame Judy couldn't have topped that! I also enjoyed the informational booklet included in this set which had an overview of the Historical Figures in the series, a glossary of possibly unfamiliar terms, a genealogical chart for the House of Stuart, and a sampling from some of John and Sarah Churchill's love letters. A photo gallery of still images from the series is also included. I really enjoyed seeing all the historical figures brought to life. It really helped to understand a bit more about the historical time frame in which they lived and what was causing the conflicts at that time. John and Sarah's relationship was also interesting to observe. He was extremely patient and tolerant of her somewhat stubborn and impulsive behavior. Their true love and affection for each other and the way they weathered all the hardships throughout their marriage was really touching to watch! I also enjoyed seeing all the beautiful and elaborate (if excruciatingly painful, according to Susan Hampshire) costumes, hats and hairstyles! Disclaimer, I received a copy of The First Churchills from Acorn Media in exchange for this review. I saw this series when it was first broadcast and can thoroughly recommend it. The cast were superb and (from memory) included James Villiers as the definitive Charles II, Margaret Tyzack as Queen Anne and John Standing as the Churchills' great friend Lord Godolphin. All of them had long and distinguished acting careers.